For small businesses, having a website is essential, but what good does it do if potential customers can’t find you online? You need to be found at the top of the local search results, because most people don’t venture past the first page of the search results, let alone past the first few listings. If your business isn’t showing up on the top of the local search results you are missing out on phone calls, location visits, sales and revenue. What do you do to fix this problem? 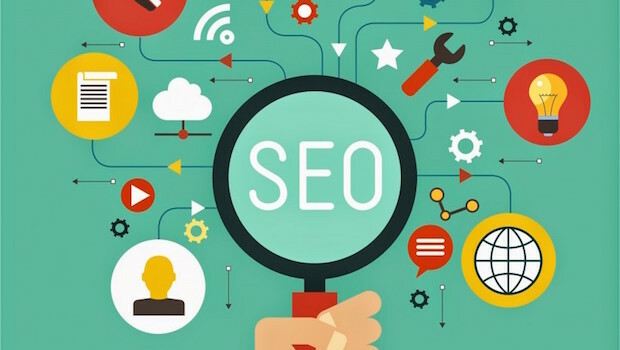 Local SEO involves positioning your website as a trusted and valued source of information, making it worthy of top organic listings for search terms and phrases related to your location and industry. In order to help small business owners that are new to local SEO we have put together five simple steps to take that will help you improve the local search visibility of your website. We encounter a lot of small business websites that will simply have an email address or a submission form on their contact page. This doesn’t help your search visibility at all. At the very least you should have your full NAP (Name, Address and Phone Number) listed on your contact page. You can also include it within your website footer, assuring that it is displayed on every page of your website. Your physical address plays a major part in local search, and not including it on your website is a major mistake. You could have great content and properly optimized page titles, but without your address you will be at a major disadvantage. Location based search is extremely focused, so you have to start with your physical area and then through improved SEO and presence online you can expand your reach. Make sure that you use the keywords that a prospect is going to search for in order to find your business. If you operate a pool cleaning service in Miami then you would want to include keywords and phrases such as “pool cleaning service in Miami” or “Miami pool cleaners” in your website copy. You don’t want to stuff your copy with keywords; instead you want to make sure that they occur natural. Proper keyword research is key, because you want to make sure that you are attracting the right kind of person via local organic search. You want people that are actively looking for the services or products that your business sells. Step back and think like your customer. What would they enter into their mobile device to find your business? A great tool to use to help you identify and manage local directory listings is Moz Local. This tool will identify opportunities, check for duplicate listings and help you manage your listings. The small yearly fee is well worth it to ensure that your listings are 100% complete. It is very important that any occurrence of your Name, Address and Phone Number (NAP) remain consistent online. It should appear exactly as it is written out on your website. So, if you spell out “Suite” or “Road” then don’t abbreviate them as “Ste” or “Rd” at any time. The Moz local tool we mentioned above does a great job to monitor and look for listings that have inconsistent NAP’s. Search engines want to provide their users with correct information, so if they sense that a business might have relocated they aren’t going to show that location in the search results. If you have different phone numbers or address variations online it doesn’t give off a strong trust signal. 5. Encourage Reviews on Yelp, Google, Etc. There is a big difference between telling and encouraging. You don’t want to tell your customers to leave a review, as that is considered manipulating the ratings and it is against may sites terms of service, such as Yelp. Instead, let your customers know that you appreciate their feedback. You can hand out comment cards or send customer service emails that include links to your Yelp, Google, and other local sites that have a rating and review system. This approach is very effective. Simply letting your customer know that you appreciate their feedback will lead to a large percentage of them taking the time to leave a review without you having to directly ask them to. This keeps you within the terms of service and also results in natural and authentic reviews. Consumers are smart and can spot a fabricated or paid review a mile away. Use these tips to help kick off your local SEO and for more free online marketing tips make sure to subscribe to our online marketing newsletter below. We deliver free tips directly to your email inbox every week.